Last year, a 28-year-old on vacation was enjoying the outdoor water activities in Destin, Florida. She had gone scuba diving, wakeboarding and was enjoying paddleboarding at sunset. At that time, a fishing boat traveling at approximately 20 miles per hour ran right over the paddleboarder, ripping through the bones, muscles, tendons, nerves and a key artery on her right knee. Fortunately, the paddleboarder survived the fishing boat accident. However, the damage to her leg was catastrophic and was later amputated above the knee. What Can Paddleboarders Do to Keep Safe in Waters With Other Boats? What many boaters may not be aware of is the U.S. Coast Guard recognizes paddleboards, canoes and kayaks as vessels, just like fishing boats. That said, boaters need to keep an eye out for smaller vessels, especially given the recent popularity paddleboarding has gained. Boaters are responsible for operating their vessel in a reasonable manner in regards to other vessel traffic in the area. Paddleboarders must wear a connective device that will keep them attached to the paddleboard and should generally try to avoid areas with other recreational or fishing boats. We encourage paddleboarders to take a boating safety course to give them an idea of what the “rules of the road” are around other vessels. 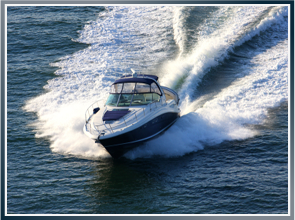 Latti & Anderson LLP is a maritime injury law firm that helps those in both large and small watercraft vessels who have been injured at sea. Previous Are Oil Rig Companies Failing to Provide Proper Training to Workers? Next Have You Seen the New Bedford Fishing Monument?